Dine With Us On Christmas Day | Three Cheers Pub Co. Looking for a place to host all the family this Christmas Day – ideally where you don’t have to step foot in a kitchen? 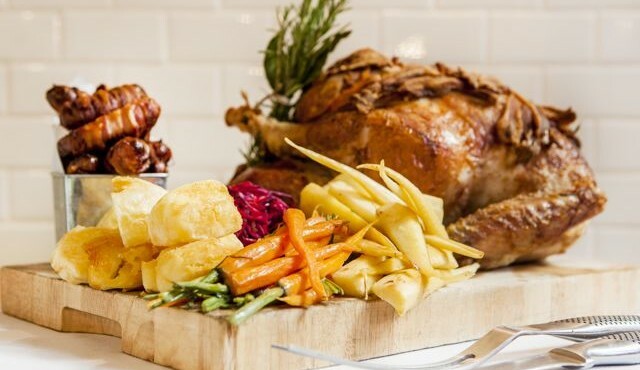 Well look no further, as The Avalon and The Abbeville in Clapham and The Rosendale in Dulwich will be opening their doors to make sure that your Christmas is merry. We have open roaring fires, delicious Christmas Day menus, fine wines, Christmas cocktails and real ales all waiting for you. Stuffed turkey ballotine with pigs in blankets followed by apple, pear & fig crumble with spiced custard. Yes please! Read our Christmas Day menu at The Avalon. If you would like to book a table, just call your chosen pub and speak to any member of staff.